And like that, for the most of our teams the season is over. 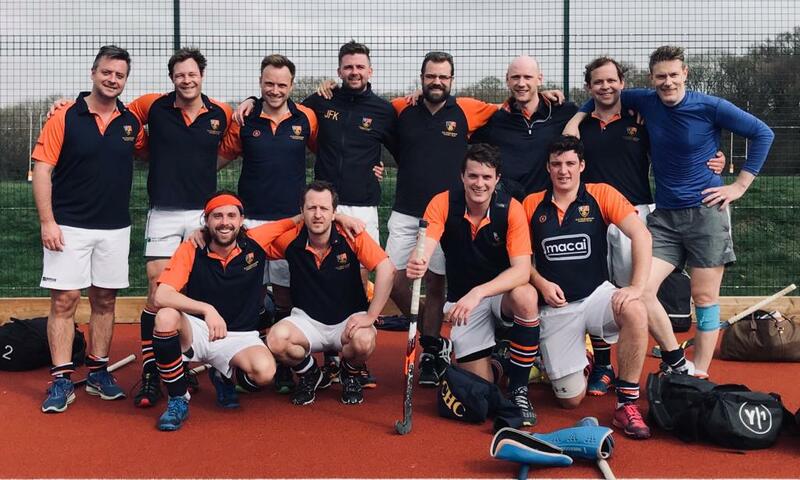 Congratulations to our Men’s 1st XI and 3rd XI who have secured promotion. A triumphant OCHC Men’s 1s – stoned on victories and high on success – travelled to Indian Gymkhana, in the knowledge that just one point would seal the title. However, Gym were in no mood to roll over, and they started strongly with a barrage of skillful attacks down our left side. Despite the pressure, we stood resolute, and soon found our hold in the game. Jay Harman (who has enjoyed a very impressive season) opened the scorer with an uncharacteristic rocket from the top of the D – un-saveable! Gym bounced back immediately, as Davies and Laidman were stitched up by an aerial down the middle. And the home team were soon 2-1 up after a well-executed short corner with moments remaining in the first half. 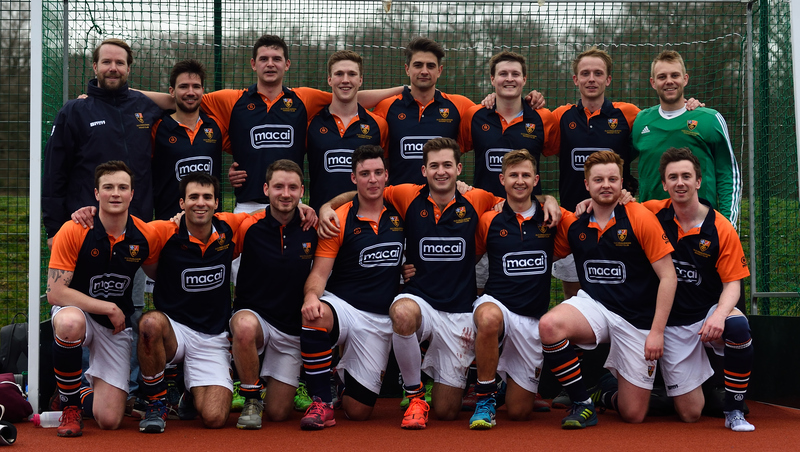 Yet the Men’s 1s have been here many times before – their resilience to ‘turn it around’ will be legendary. A few choice words later, we were on level terms; with Wilson (monkey, two hearts, chipmunk) megging the keeper. It was one-way traffic thereafter, with Laidman, Robinson and Lazlo all chipping in. A spiriting Gym scored with 5 minutes on the clock, but the damage was done, and the OCs were champions. The lads enjoyed a few pints, a delicious curry, and a gorgeous sunset on the clubhouse pavilion – soaking in the memory of a fantastic season. Men’s 2nd XI 0-1 Havant 2s Match report to follow. Men’s 3rd XI 5-2 Barnes 2s Norman Foster, Edward Luytens, John Nash and Christopher Wren are all famous architects from the past and present, spanning many generations. As the 3s 5th uber successive successful season came to a quality end the latest name was added to the list. Edward “Keith” Copleston. 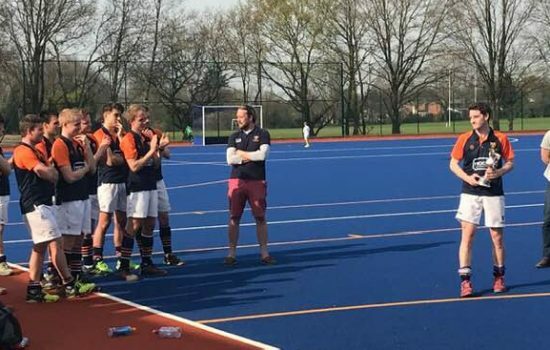 Laying the foundations on taking over the poisoned chalice, as it then was, West Sussex Eds built an impregnable structure that saw unparalleled success drench OCHC. Thank you Eds for a rollocking ride that has had its challenges of which 99% were successfully negotiated. We came unstuck just once being outgunned by the roubled oligarchs from Addlestone who were worthy winners of the league following their remarkable second half of the season. This was a day of outrageous dummies from start to finish. As the clock ticked to 12.50 Clarkey’s taxi awaited at the pre arranged destination of Guildford station at the behest of Clarkey. As the clock ticked to 12.54 the first dummy had been performed, completely outwitting the waiting taxi driver. No hockey kit carrying passenger had disembarked from the train that was rattling towards Woking. 30 minutes later order was redressed as Clarkey emerged from Esher station to the diverted vehicle. He was even on time for the 13.30 meet.. Very rarely do seasons go down to the last minute of the last game but this one did as we strived to add to our 5 goals against a decent Barnes side. An early goal put us one up before Rosko saved a stroke with utter contempt of the Barnes player as well as making other key interventions. We were fortunate to be one up at half time but in the first 25 minutes of the second half nabbed 4 goals to go 5 up with 10 minutes to go. Amongst these were outrageous dummies 2 and 3 with Clarkey dumping first the keeper on his arse and then the defender on his arse before rolling the ball across the line in the same move, class act. BJ nabbed one showing how important he is to the team. Port’s intervention with BJs boss on the Friday night may prove instrumental in resolving the availability issue. Our target of 6 looked achievable as Barnes were showing the white flag but it was not to be as a short was conceded and we ran out winners by 4. As the oligarchs won by 6 we were 4 adrift of them. Not often you accumulate 56 points and finish second but we would have settled for all that we achieved pre the visit of the prodigal son back in the autumn. Outrageous dummy 4 was sold by South West trains by depositing Clarkey at Basingstoke station, a great place to be on Saturday night. 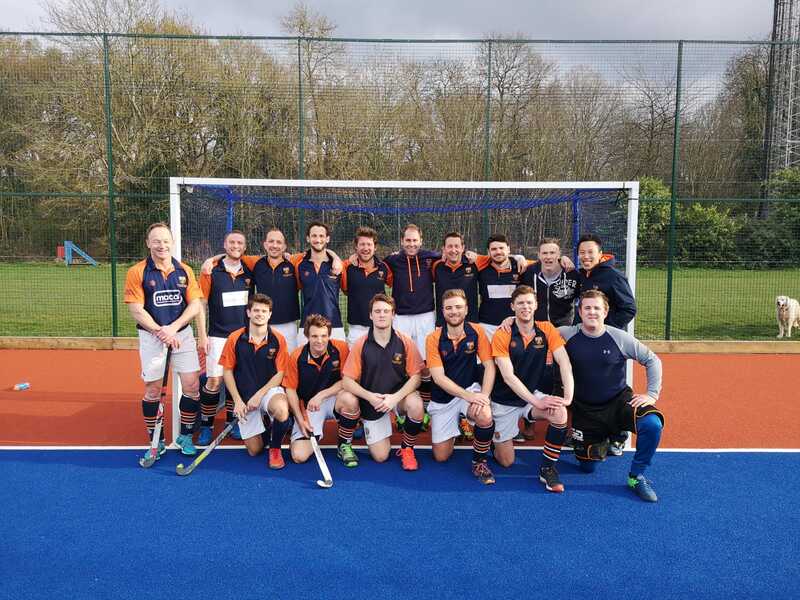 The leagues are just about all sorted and next season sees two trips to Crystal Palace, 2 to Croydon, one to Kennington not to forget Addlestone plus the bizarre situation of Wanderers 1s having every chance to be in the league below their two and threes. As the last few words are squeezed out of the fat lady’s voluptuous figure and the sun sets on another top seasons thanks everyone for your participation somewhere between one and 20 games but a different league season awaits us in 6 months time. An extraordinary day saw Stormers win 3-1 on the day but ultimately share the spoils with Crawley. Yes, it is confusing to some (including certain well-educated Stormers) but due to fixture rearrangement and congestion, with both our remaining games to be played against Crawley, we agreed before the game to treat the first half’s result and the second half’s result as a separate results. The proverbial six-pointer. And this seemed like an excellent and faultless decision until about 10 minutes to go. We started strongly and dominated play with a strong passing game with deft touches from Kirky and Poen to set up good chances. Crawley were skilful and competent so it was pleasing to exert control to score three in relatively quick succession during a period of good hockey with Cato and the flowing locks of Dougie controlling affairs from deep with Grimer and Mike making inroads through the transition to the forward line. Notwithstanding the early loss of Gerry with a calf strain that ultimately saw him miss the next day’s cup match, many chances were created with Poen bagging two and Kirky scoring the pick of the bunch on the back of a great move. Symptomatic of playing such attacking hockey, even Cato found himself with a free shot only to prove why he plays at the back. Whilst our general attitude was great, it was disappointing to see some unprofessionalism creep in through remonstrating with the umpires and taking ourselves out of the game. Unfortunately, having bagged three points by halftime, and with a view to a long trip/hard cup match the following day, we rotated the bench and this coincided with Crawley re-establishing a decent period of possession and a better hold on the game, lead to a handful of breakaway chances and short corners. Our luck (but not Si’s) was in as Si Duncan took one for the team in an incident which brought a sharp intake of breath and a tear to the eyes of the 21 other men on the pitch – suffice to say seat cushions and bags of frozen peas will be in use in the Duncan household for the next few days and his career as a baritone may be over. Crawley won a few penalty corners and of course it was from one of the more poorly executed corners that a goal resulted and Nigel will (unless he misses!) be kicking himself for conceding one. So the second half ended 0-1 (and as a consequence us actually losing a point) and it left something of a disappointing taste to be 3-1 victors on the day but only increase our points tally by 2. It’s a long story and one for another day. That brings the curtain down on an interesting league regular season for Stormers. With a mini-cup competition to come and a trophy still possible, there is more hockey to be played. Ladies 2nd XI 3-2 Surbiton 6s The 2s needed to secure a win in this match, and hope that Richmond lost to secure second place in the league. 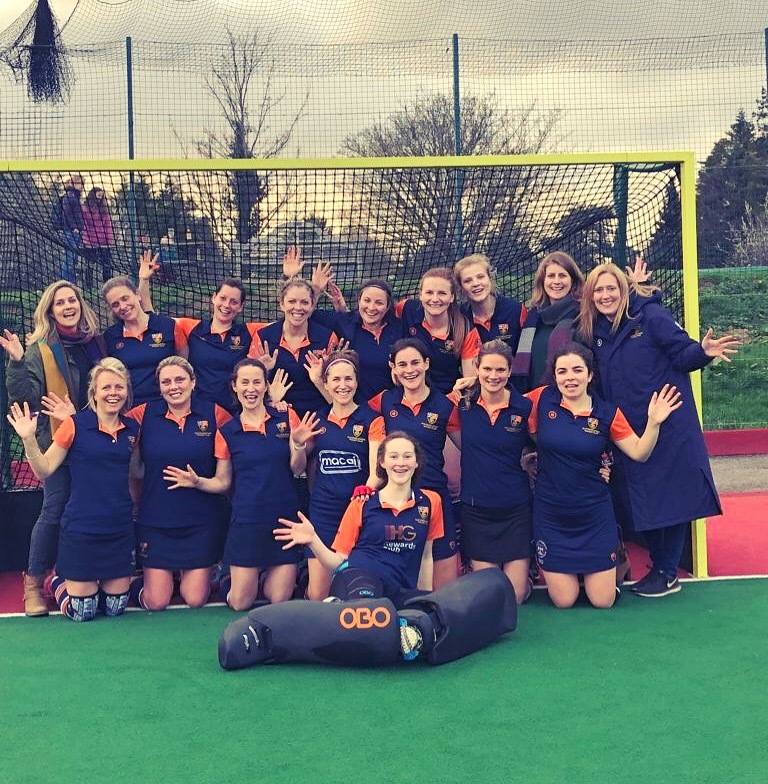 Surbiton who were sitting in fifth place weren’t under the same pressure, but if we thought they were going to give up the three points easily we were mistaken. It’s safe to say it wasn’t our prettiest match, perhaps the pressure got to some of us, as I don’t think we settled at any point during the game. Surbiton attacked our D quickly within the first few minutes, piling on the pressure which lead to a few dodgy tackles on our behalf. Some attack by the Oppo down the left lead to a scrabble in the D and a clean reverse hit into our goal, leading to them being 1-0 up in the first ten minutes. We responded quickly, attacking down the right and earning ourselves a short corner. Despite a slow push out, Surbiton didn’t run out quickly which meant Kara could slip it to Hels on the left, whose rebound shot lead to Hannah Chitty scoring. We still couldn’t relax into the flow of the game and found Surbiton often broke with a lot of space in the middle, putting our defence under pressure. Hels and Theresa regularly saved the day with some great picks, moving the ball out of danger with ease. The second half was equally as cagey. There was a fair amount of feistiness with several high balls being thrown around, and again some questionable tackles and choice words from both sides. Kara managed to put us in front by picking up a rebound shot from the goalie, which had come in from Helen. 2-1. Soon after we won ourselves another short corner and after some pinging around in the D flicked it into the goal which unfortunately their umpire disallowed for being a high ball. Frustratingly however, Surbiton then earned themselves a short, and despite scoring a similar goal, our umpire awarded them the goal. It’s all about interpretation. (Umpire comment: No, the OC shot went into the top of the goal, the Surbiton one hit the backboard!). 2-2. 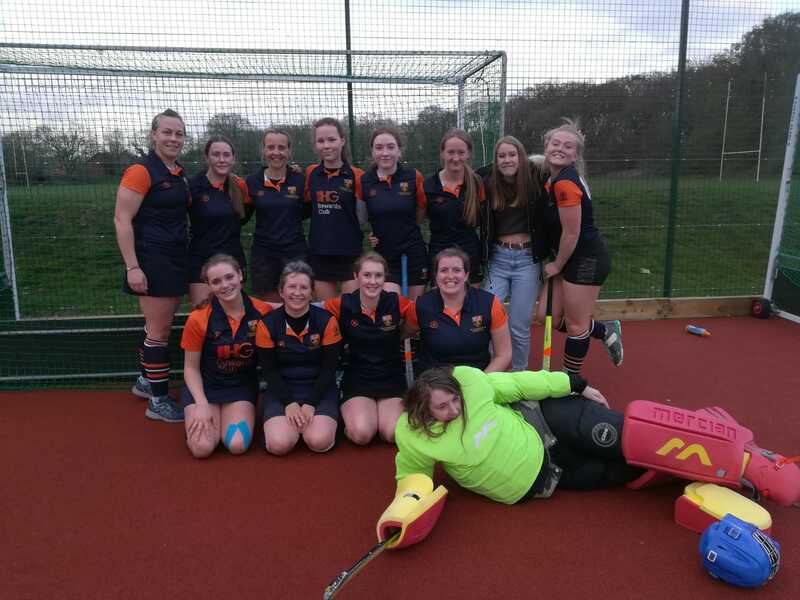 Ellen made a fantastic pick at one point, running half the length of the pitch, she was bounced off the ball by a defender but while we were busy shouting for a short corner, Ele had unfortunately taken the Oppo’s umpire out and he was on all-fours trying to regain composure. A free hit was given and we had another attack of the Oppo’s D lead to a strike in from Ellen, luckily for us but unluckily for Surbiton, the ball was deflected in by their defender. 3-2. With only a few minutes to go, a short corner was awarded to Surbiton and the final whistle was blown. After resetting due to one of their players breaking early, the ball shot down the left side of the goal and the match was done. Ladies Vamps 2-3 Mitcham The Vamps needed no less than a win against Mitcham to secure third place in the league and a possible promotion. And we so nearly did it! I’m not going into the detail of the game – it is usually pretty boring to read, but suffice to say everyone played their socks off. The final score was 2-3 with Kim and Jo scoring our goals. It was end to end stuff and a draw would have been a fair result but Mitcham scored with 30 seconds left. It didn’t hurt as much as it could have. A draw was never going to be enough. If you haven’t watched ITVs “Harry’s Hero’s – The Full English”, you should try seeing it on catch up. The premise is Harry Rednapp gathers 11 1990’s England footballers for a match against a Legends German side. It is both hilarious and depressing in equal measure. Hilarious because the chosen 11 are mostly great fun, somewhat childish and up for a laugh at any opportunity. Depressing because these ex elite athletes are washed up couch potatoes – out of shape to the point of being a health risk. Neil Ruddock, an ex Liverpool player – oh the shame – only managed level one on the bleep test. David Seaman, one of our best ever goal keepers, declares at 53, that he is too old for this caper. 53!!!! That’s still YOUNG! None of them had carried on played the sport they were once so good at. 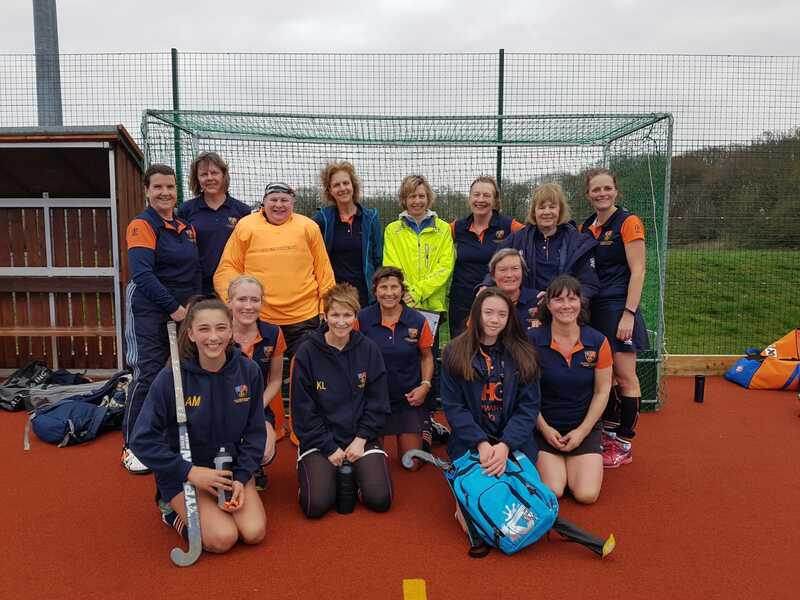 Ladies 3rd XI 3-2 Old Kingstonian 3s Match report to follow.